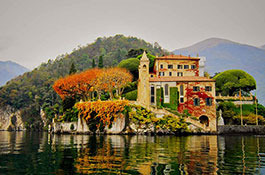 A wedding ceremony in a luxury Italian Lake Villa is a unique way to celebrate your destination wedding. 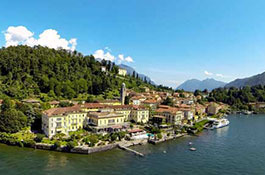 The most beautiful historical Villas where weddings can be organized are discreetly located in a fabulous scenery along the shores of Lake Como, Lake Maggiore, Lake Orta and Lake Garda, separated from the water by lush natural gardens where tropical plants grow thanks to a special mild climate. The Villas on the Italian Lakes we have selected are real jewels that perfectly complement the enchanting natural landscape. These Villas can be isolated on promontories or in small villages and are part of an extraordinary patrimony which can be rented to plan an awesome wedding day. We can help you to find the perfect Villa for your wedding in Italy and make your dream of planning a wedding in an aristocratic retreat a reality. The fabulous properties we have selected can host private events for small and large groups: some of the Villas we work with are luxury hotels too, other Villas can be exclusively rented for one day. 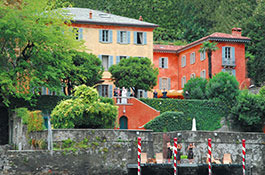 Unique panoramic villa located in Gardone Riviera. Ideal for small events up to 60 people. 35 rooms available for accommodation. 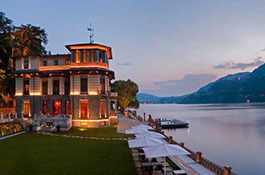 Elegant five star hotel lies on the dreamy shores of Lake Maggiore. Impressive luxurious halls suitable for up to 350 guests. Beautiful decorated rooms to accommodate up to 350 people. 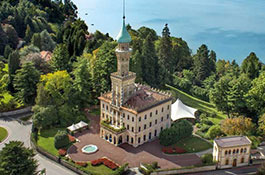 This Moorish style villa is the ideal setting for a fairy tale wedding overlooking the lake. Wedding receptions up to 150 guests. 6 double rooms and 8 elegantly furnished suites. 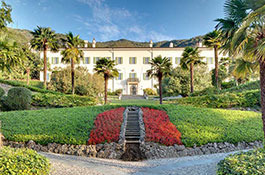 Exclusive 16th century villa located in Cernobbio, ideal venue for refined events up to 250 guests in the panoramic park. Venue rented on daily basis. Food provided by a catering service. 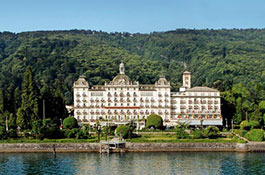 Magnificent hotel located in Cernobbio on the shores of Lake Como, surrounded by wonderful Italian style gardens. Parties up to 150 guests and accommodation in 152 elegantly furnished rooms. 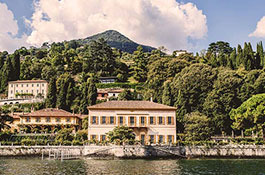 Luxurious villa located in Moltrasio, surrounded by an impressive park overlooking Lake Como. Minimum rental of 3 nights. Events up to 120 guests. Accommodates 20 people in 8 elegant suites. Located in the scenic village of Laglio, this villa is ideal for intimate events up to 100 guests. The villa can be rented on daily basis. Banquets are organized through catering service. 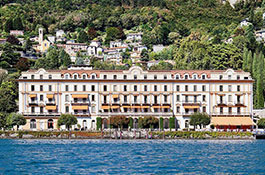 Located on the promontory of Bellagio, this panoramic five star hotel was formerly an ancient palazzo. Impressive banquet halls up to 240 guests. Accommodation in 95 rooms and suites. A pearl of Unesco Heritage, this exclusive villa can be rented on a daily basis. Recommended for top class events up to 150 guests renting a gazebo. Banquet provided by catering service. 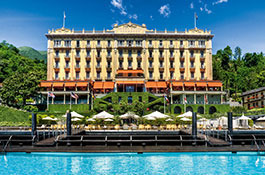 Art Nouveau style villa hotel located on the shores of Lake Como. The different areas of the resort can be used for events up to 220 guests. 73 rooms and suites are available. 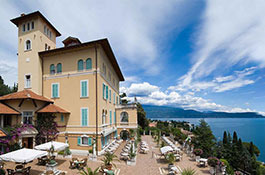 Prestigious five star hotel located in Tremezzo and facing the lake. Panoramic terrace and beautifully decorated banquet halls for events up to 100 guests.